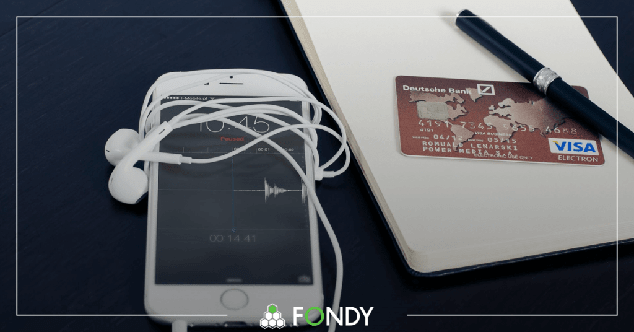 In this article we are presenting the most popular acquiring (bank card payments) terms, which are often not understood correctly leading to confusion and misunderstanding between the merchant and the buyer. While it is well known that money like the order! A bank card is a plastic or virtual card issued to the name of an individual, linked to a current account in a bank and is the means of accessing this account. Bank cards are used to pay for goods, services, make withdrawals and wire transfers. It is essential to understand that bank cards can be largely divided into two categories: debit and credit ones. Employers transfer the money to debit (payroll) cards. On the other hand, a credit card is usually topped up by its holder and offers a possibility of using borrowed bank’s funds at a specific interest that depends on the card’s terms of debt repayment. A virtual card is an Internet means of payment, which does not have a physical form (the holder only has the payment details of this card) and is linked to the client’s account. It can be both a debit and a credit one. When the term “credit card” is used in the web it usually refers to a bank card in general, irrespective whether it is in fact a debit, a credit or even a virtual one. Acquiring is a mechanism for receiving funds for goods, works or services from the bank cards. This procedure is made by an acquirer bank authorized by the merchant. Acquirer banks use payment terminals linked to their network to accept the payments. For accepting online payments they employ payment gateways. An acquirer bank or a service bank is the bank that provides acquiring services for the merchant and is authorized to accept the payments on its behalf along with all cash transactions. In general, any bank providing payment services for the companies can be an acquirer bank. Acquirer banks accept bank cards of any issuer not only the ones issued by it. The issuing bank is any bank that issues currency notes, securities, cheque-books or plastic cards. Essentially any modern bank is to some extent an issuing bank (at least it issues its own plastic cards). Broadly defined, issuing bank is most frequently the bank that issued the payer’s card. Merchant is the seller of goods or services the client is paying for. A merchant account is the account of the seller of goods or services with the acquirer bank authorized to accept the payments on its behalf. All funds received from the buyers of goods or services are transferred to the merchant account. In essence it is one of the merchant’s bank accounts. However, it can also be a transit account of the acquirer bank, to which the merchant does not have any direct access and from which the funds are transfered to the merchant’s current account with any of merchant’s banks. Refund and Reversal are the transactions of full or partial return of funds to the bank card of the buyer who previously made a payment to someone. Reversal and refund are initiated in the event if the buyer declines the purchase of a good or service and wants to receive her money back, if the good is out-of-stock and the merchant decided to return the funds to the buyer or if the purchase transaction was erroneous due to technical or other reasons. Reversal is often confused with the refund due to similar process mechanics. The difference for the buyer is usually that in the event of reversal the funds are immediately available on the account while in the event of refund it takes several banking days for the funds to be credited to the account. For the merchant the difference between these transactions is the fact that reversal is initiated in the case the funds for the purchase or a service were not yet credited to its account. Reversal always refers to the original purchase transaction, the sum can be smaller but not greater than the original payment. Also the acquirer bank usually does not charge the fee for reversal transaction as not movement of funds takes place in this event and the transaction itself is the cancellation of the previous transaction of blocking funds on the buyer’s bank card. In turn, refund takes place in the case the funds were already withdrawn from the buyer’s card and send to the merchant’s account with the acquirer bank. Refund is a separate transcation and therefore the sum of it can be both smaller and greater than that of the original transaction. Usually, the acquirer bank charges merchant a fee for each refund transaction, therefore, the merchants with a significant ratio of returns try to make more reversals. Chargeback is another term frequently confused with refund. Many believe that chrageback allows canceling the payment processing, however, this operation is made when the money was already credited to the merchant’s account. In essence, chargeback is the process of disputing of the purchase, for which for some reason neither refund or reversal was possible by the buyer. A chargeback process can be initiated only by the client (the plastic card holder) or by the plastic card issuing bank. The reasons for initiating the chargeback operation include the violation of the international payments system rules, disputable situation, in which the buyer does not receive the expected product or service or charges from the client’s card, which she does not accept. Fraud occurs when stolen details of a third party’s plastic card are used to pay for goods and services. Accepting the payments with signs of fraud is a “mauvais ton” in the web space and seriously affects the image of a web shop or another resource. Therefore, the latter strive to reveal and avoid them. We hope that with our help you will no longer confuse credit and plastic cards and will be able to differentiate refund and chargeback. In any case, if you are making payments over the Internet understanding these terms will be helpful.